Megan O’Connor was walking her dog in a ravine near Toronto, Canada, last week when she noticed something move out of the corner of her eye. She decided to walk closer to investigate — and it’s a good thing that she did. A furry animal was huddled in the grass with a plastic jar stuck over his head. She called rescuers from Toronto Wildlife Centre right away, who rushed to the scene to help the animal. 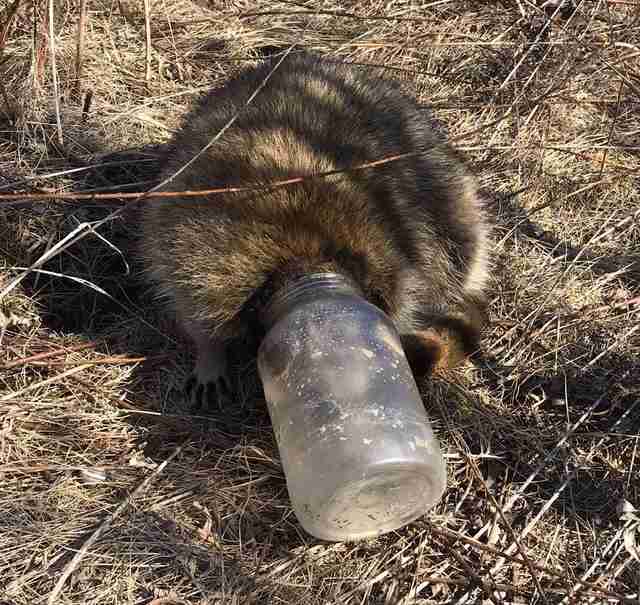 As one rescuer held him tight, another cut the jar open, finally revealing the fluffy animal’s identity: a raccoon. In addition to the wound on his nose, the raccoon also had an injured paw. The rescue center took him in for five days to clean up his fur and ensure both injuries were healing. 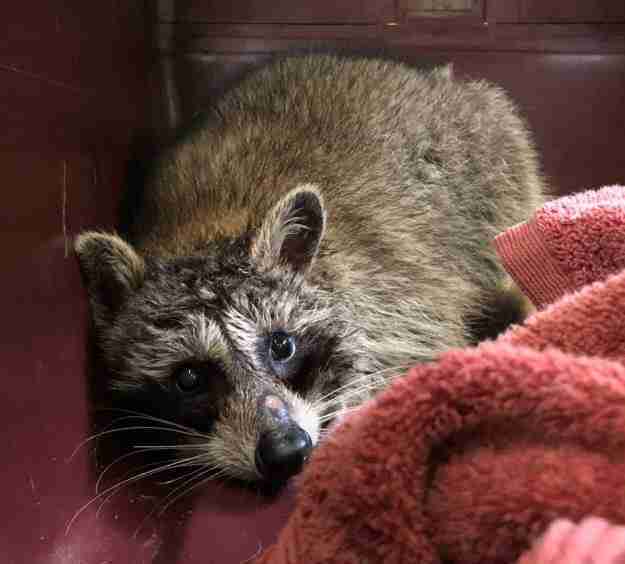 Luckily, after the stressful ordeal, the raccoon made a full recovery and was returned to his wooded home on Monday. O’Connor was overjoyed to hear the little guy was OK — but said she can’t help but think the entire situation could have been avoided if someone had disposed of their trash properly. Thousands of helpless backyard animals like this raccoon become trapped or entangled in trash each year, with many cases resulting in permanent injuries or even death. 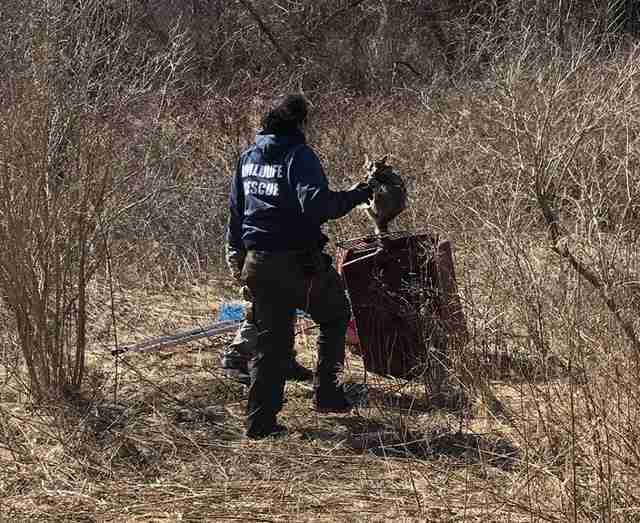 Wildlife rescuers encourage people to fully wash out food containers and dispose of them in secure, covered bins to limit chances of curious animals sticking their heads inside in search of food. To help more rescued wildlife, you can make a donation to Toronto Wildlife Centre.